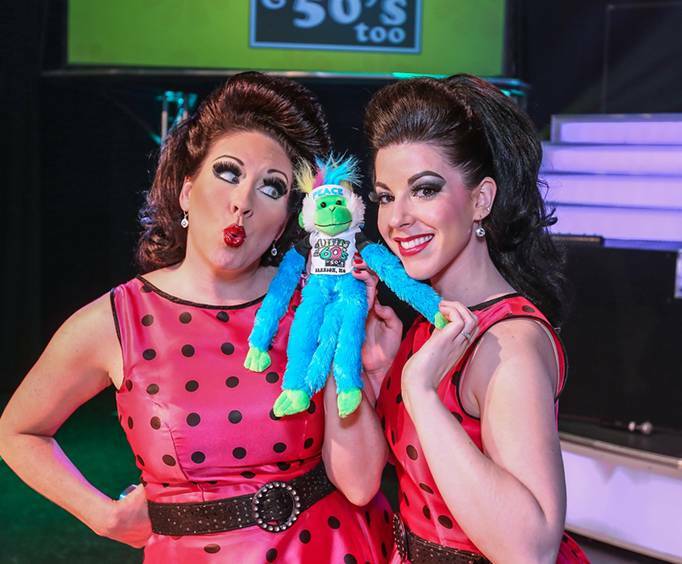 The #1 Hits of the 60's show is back for another fabulous season! 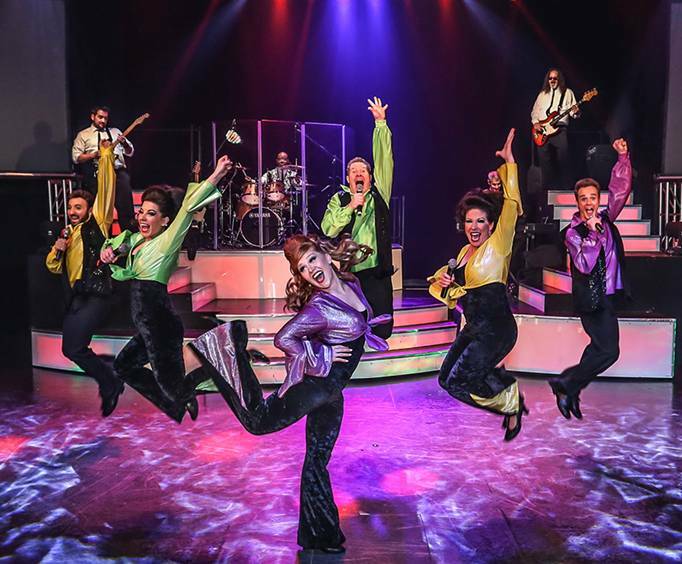 This fun and exciting show takes you through the 60's with hits from genre's like the British Invasion, Motown, California Surfin', and the Age of Aquarius. Whether you grew up listening to these groups and know every single word to every single song or you are a new listener, this show is sure to be an amazing time. High energy and tons of talent await! Each performance is authentic and fun, capturing the true essence of these artists and their music. There are amazing elements as well that set this show apart from other musical productions. Guests will witness more than 100 costume changes along with video through state-of-the-art equipment and a group of seven talented performers. Guests will also be able to play a fun trivia game and be transported back to the days of their youth with the fun high school dance experience. Of course, audience participation and talented performers makes this show truly unique. Matt Muhoberac: This performer is a jack of all trades, having worked as a composer, singer, and musician for critically acclaimed shows. You might recognize his work in dramas such as General Hospital and NBC Sports and Friends. He’s also created advertising music for companies like Budweiser and McDonald’s and participated in cartoons like The Addams Family and the Power Puff Girls. As a founder of the show, he pours his heart and soul into each performance. Amber Campbell: Performer and wife of Matt, Amber is a talented performer. She graduated from Southwest Baptist University with a degree in theater and music. She has performed in many different Branson shows throughout the years, but her biggest success is the #1 Hits of the 60s. Kelly Parrish: This small-town girl moved to the Windy City to pursue a career in TV and Film, working alongside Oprah Winfrey and Jimmy Osmond. She performed in Osmond’s show, American Jukebox, and currently performs with the #1 Hits of the 60s show. Michael Jason Frost: Frost’s performance roots took place in Pigeon Forge, TN. Here, he performed in “The Miracle” and “Joseph and the Amazing Technicolor Dreamcoat”. Since in Branson, he has performed at Dolly Parton’s Stampede and The Little Mermaid. When he isn’t performing in Branson, he releases his solo gospel music. Josh Carroll: Josh Carroll has music and performance in his blood, coming from a large family of performers and musicians. He performed in the Magnificent Country Show at the White House Theater as well as the Magnificent America Show and Magnificent Seven. He currently plays the guitar in the #1 Hits of the 60s show. Mike Williamson: This multi-talented performer has roots in guitar, harmony singing, trumpet, trombone, tuba, euphonium, mandolin, ukulele, bass, dulcimer, harmonica and percussion. Ryan Dunn: This professional saxophonist has performed live music for nearly a decade and prides himself on his blues, funk, soul, and classic oldies vibes. This show is his very first Branson appearance! Kaylee Ruden: This featured performer has an amazing voice. She has appeared in shows all over Branson including performances at Silver Dollar City. She is married to Chad Ruden who also performs in Branson. Eric Dalton: Eric has performed in a variety of shows and is returning to the #1 Hits of the 60s show this year. He has performed on the Holland America Cruise Line and has appeared at Silver Dollar City as well. He is an amazing singer and dancer. Jordan Dickison: With a bachelor’s in music, dance, and theater, it is no wonder that Jordan Dickison is a talented force to be reckoned with. For six years, he has lived in Branson and performed on the Showboat Branson Belle, Clay Cooper Country Music Express, and Hot Rods & High Heels. 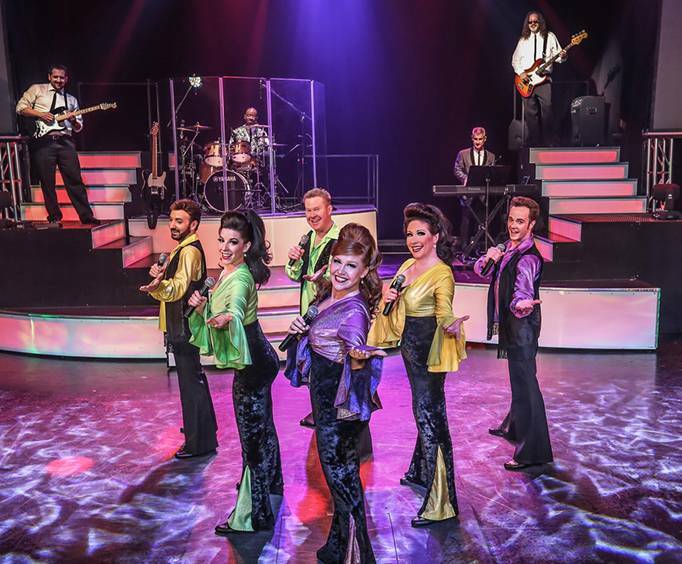 Do not miss out on an amazing time in Branson, MO with the #1 Hits of the 60s show. This amazing musical concert is sure to bring energy and fun to the stage! Approximately how long is the #1 Hits of the 60's?